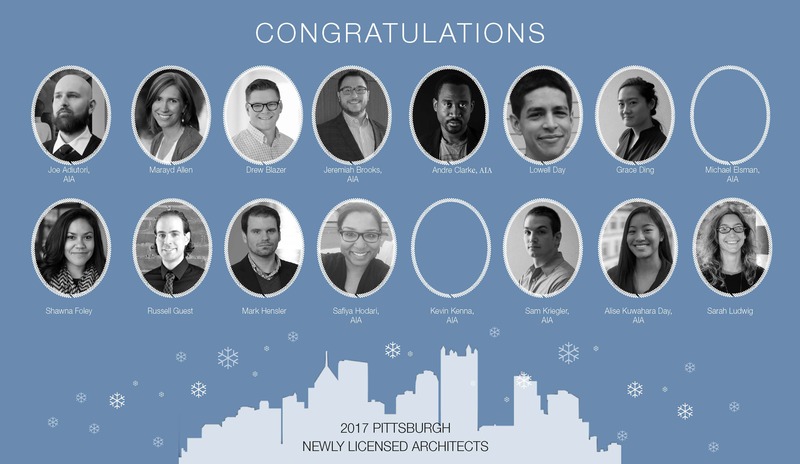 At the end of each year, members of the AEC community gather together to celebrate at AIA Pittsburgh’s President’s Holiday Party. This year, the party was held at our new office. Early in the evening we conducted our Annual Meeting. 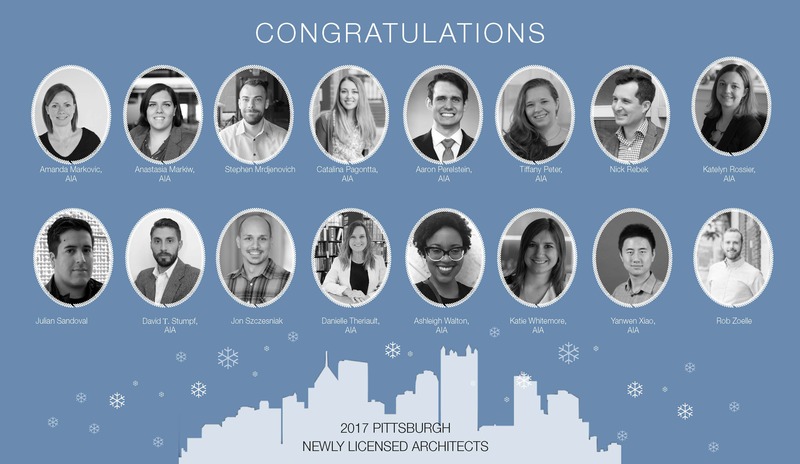 Four AIA members were voted on to be part of the AIA Pittsburgh Board of Directors – Joe Chaffin, AIA; Quintin Kittle, AIA; Laura Nettleton, AIA; Bea Spolidoro, AIA – as well as one Associate AIA Board representative – Brian Gaudio, Assoc. AIA. 6.51 The Board of Directors must meet in regular or special meetings in order to transact business. Meeting in person is expected, however in special circumstances as recognized by the Board or staff, members may participate via telephone, video-conference, or other electronic means as long as the Board member’s identity can be recognized and all persons participating in the meeting can hear each other at the same time. Participation by such means shall constitute presence in person at such a meeting. 6.514 Executive Committee Meetings.The Executive Committee will meet whenever called upon to do so by the Board of Directors or President. Meeting in person is expected, however in special circumstances as recognized by the Board or staff, members may participate via telephone, video-conference, or other electronic means as long as the Board member’s identity can be recognized and all persons participating in the meeting can hear each other at the same time. Participation by such means shall constitute presence in person at such a meeting. 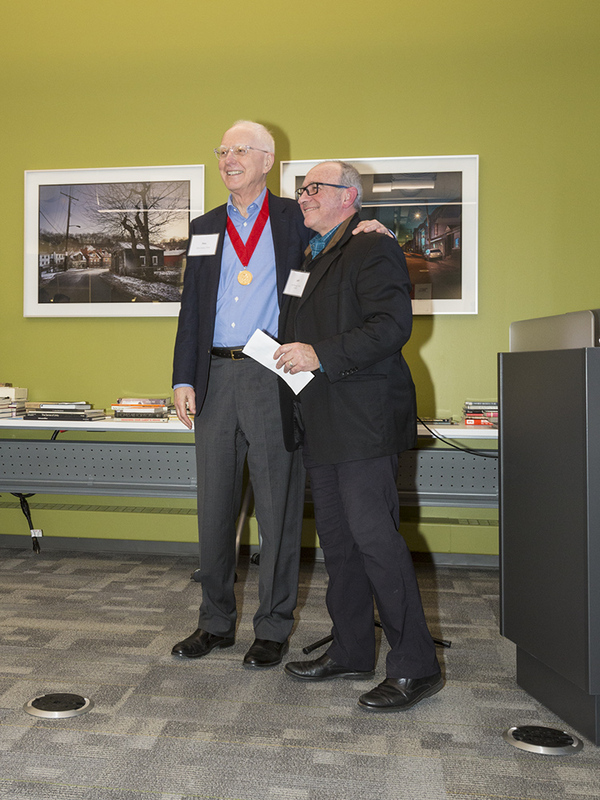 We congratulated Don Carter, FAIA, Director of Remaking Cities Institute, recipient of the AIA PA Medal of Distinction. This is the highest award bestowed by AIA Pennsylvania upon a living AIA Pennsylvania member. Don has made contributions to architecture that transcend local boundaries and have been of benefit to the profession and citizens of Pennsylvania. A new tradition was started to welcome Mike Gwin, AIA as 2018 president. 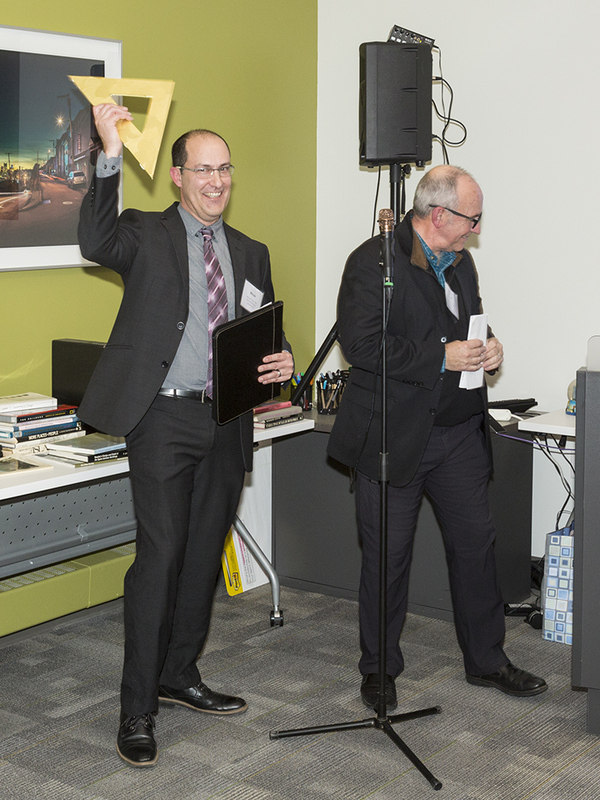 Many thanks to Jeff Murray, FAIA for his leadership over the past year. Finally, we congratulated the 32 young professionals who have successfully completed the A.R.E. and AXP hours to become registered architects in 2017. The newly registered architects are: Joe Adiutori, Assoc. 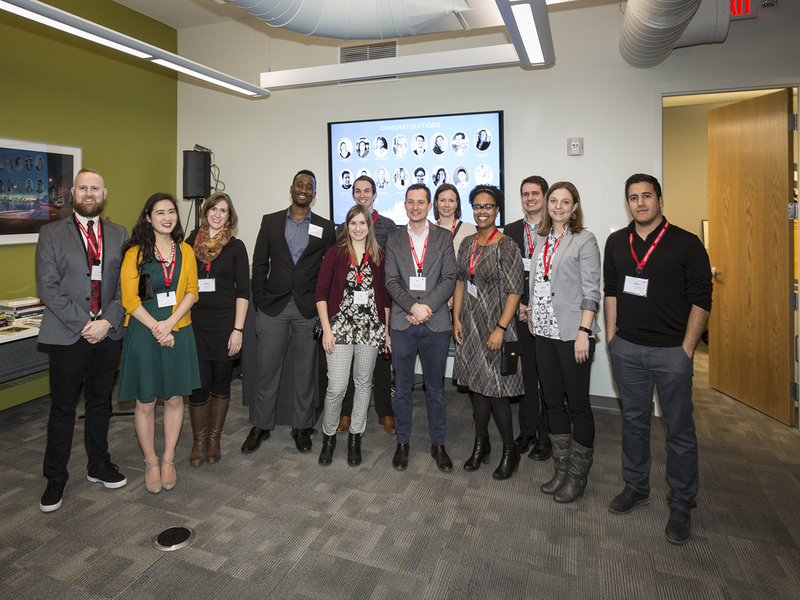 AIA; Marayd Allen; Drew Blazer; Jeremiah Brooks, AIA; Andre Clarke, AIA; Lowell Day; Grace Ding; Michael Elsman, AIA; Shawna Foley; Russell Guest; Mark Hensler; Safiya Hodari, Assoc. AIA; Kevin Kenna, AIA; Sam Kriegler, AIA; Alise Kuwahara Day, AIA; Sarah Ludwig; Anastasia Markiw, AIA; Amanda Markovic, Assoc. AIA; Stephen Mrdjenovich; Catalina Pagnotta, Assoc. AIA; Aaron Perelstein, AIA; Tiffany Peter, AIA; Nick Rebek; Katelyn Rossier, AIA; Julian Sandoval; David Stumpf, Assoc. AIA; Jon Szczesniak; Danielle Theriault, AIA; Ashleigh Walton, AIA; Kate Whitmore, AIA; Yanwen Xiao, AIA; and Rob Zoelle. Congratulations to everyone and we will see you in the new year!